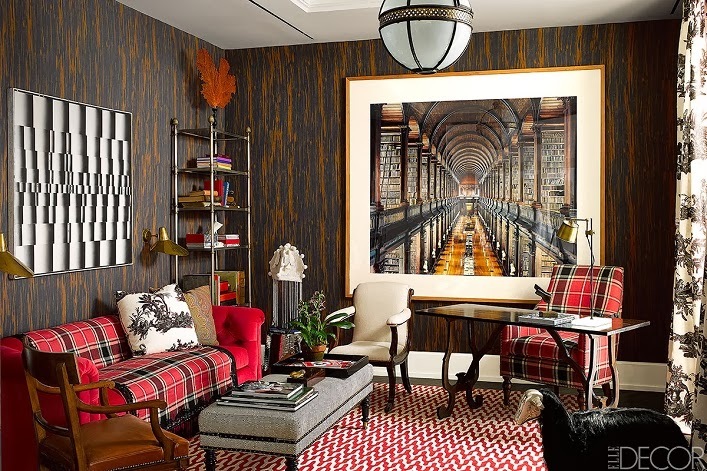 Mix and Chic: Home tour- Elle Decor's Designer Visions Showhouse! Home tour- Elle Decor's Designer Visions Showhouse! 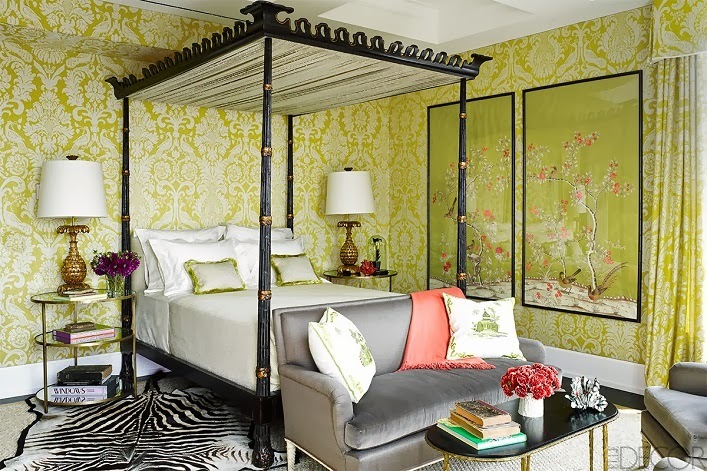 This gorgeous Designer Visions showhouse is designed by designer, Alessandra Branca for a family of four. 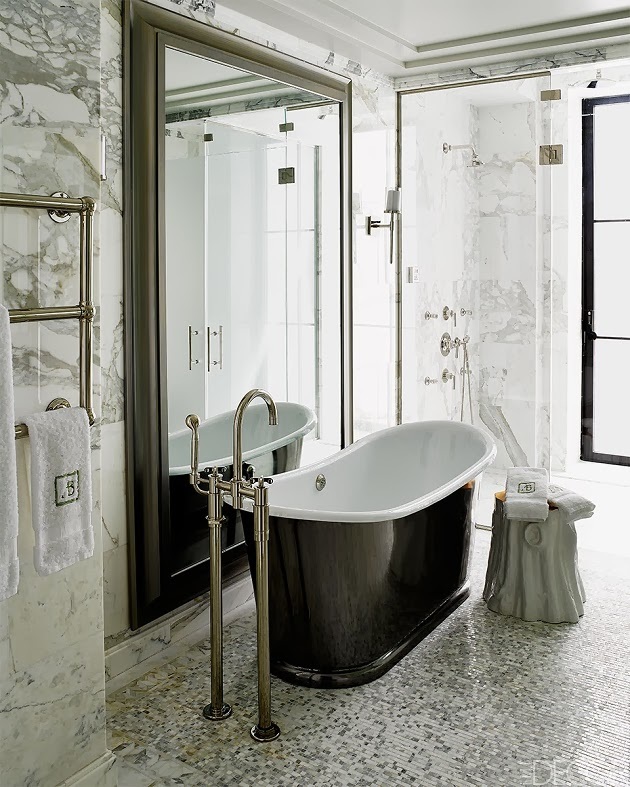 A converted 1920s Manhattan office tower, the unit already has luxury finishes to start with. 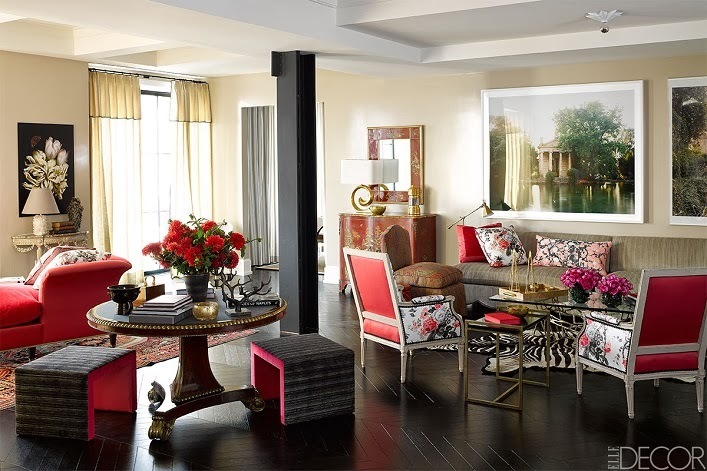 Let's take a tour of this bold and beautiful Manhattan duplex below. Such a chic and sophisticated home! 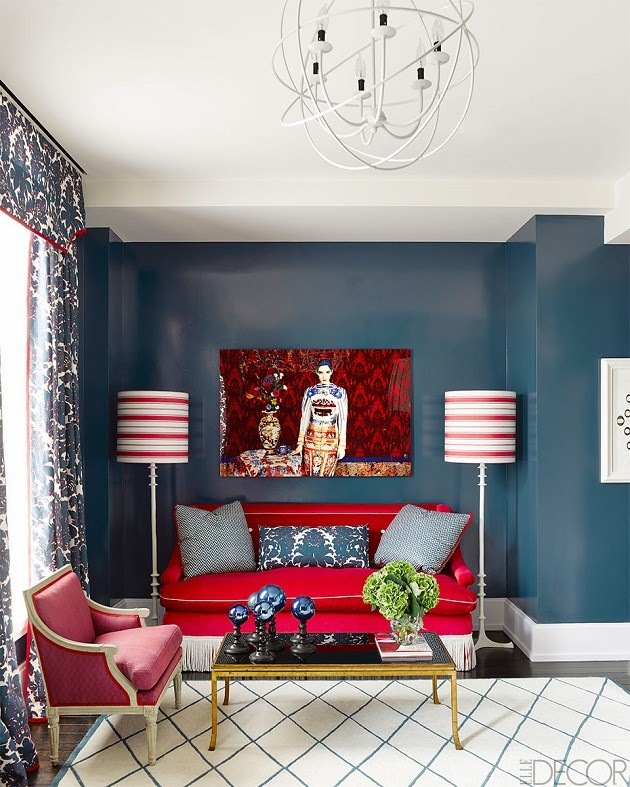 The designer's eclectic mix of furniture pieces and her fearless use of colors and patterns makes each room memorable and interesting. No details are overlooked and I am particularly drawn to the pretty custom headboard in the navy bedroom. I have enjoyed this tour tremendously, what about you? Have you use any bold colors or patterns in your home lately? I see a lot of her fabric used in this stunning home. It's beautiful! I love the bathroom!! Completely gorgeous!! The glossy white dining table is my favorite piece of furniture- I love that curve on the side and it almost looks like the inside edge is gold! So pretty! WOW! 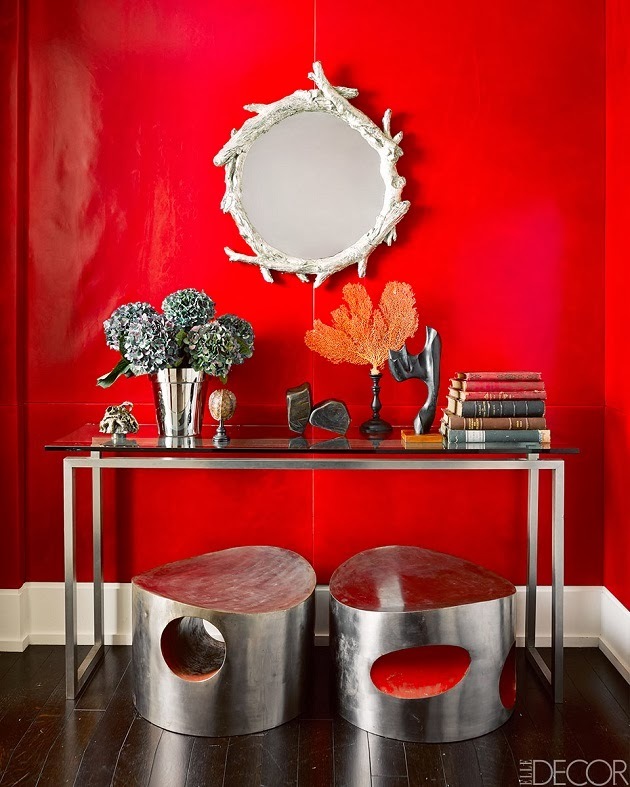 Daring, bold and absolutely gorgeous spaces! Love how creative she is...the bathroom is gorgeous!